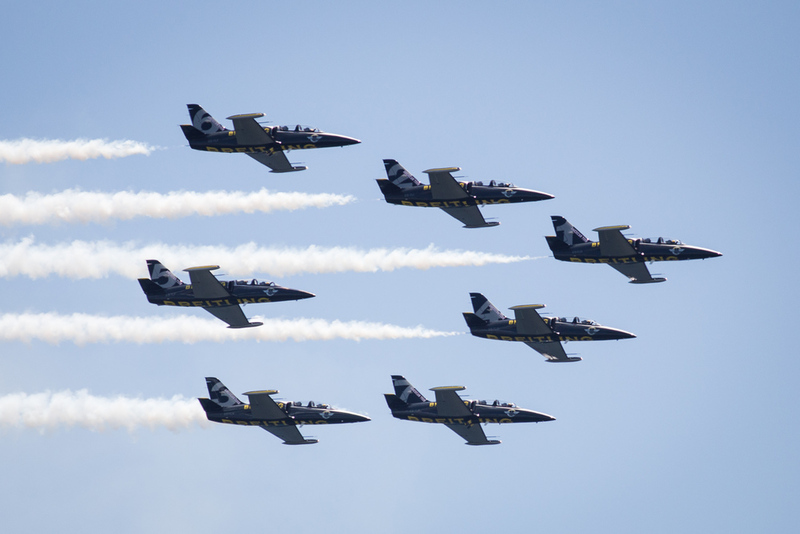 This summer marks the first time the Breitling jet team from France, flies in the United States. 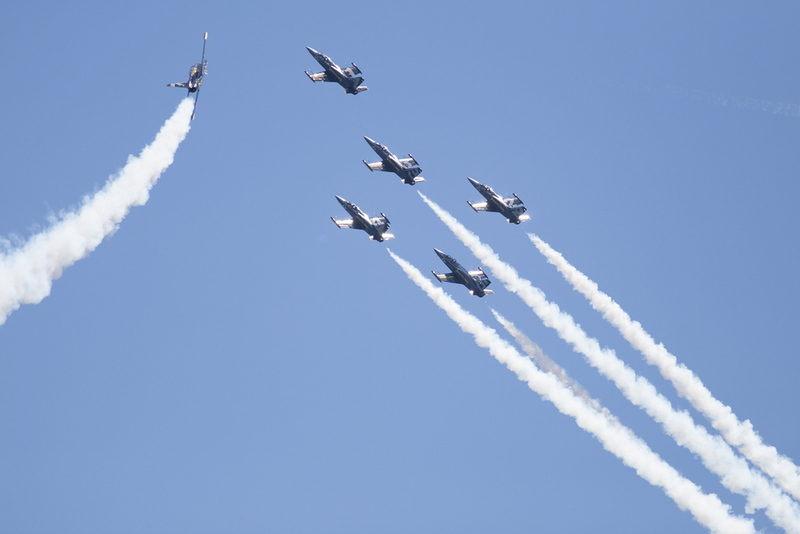 I had a chance to catch them at the Jones Beach Airshow. 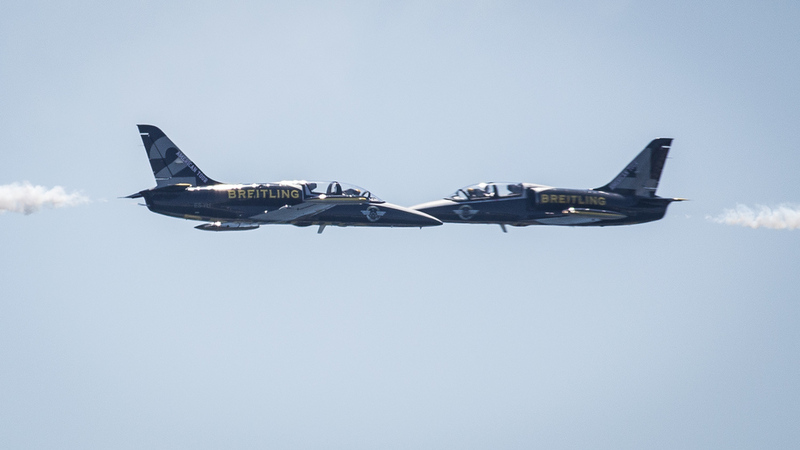 According to their website, the team flies "seven L-39C Albatros aircraft, Czech-made twin-seater military training jets that can also be used for passenger flights." Their performance was meticulous, with smooth rolls, tight passes, and even some high flying pyrotechnics to end their show. Here are some of my favorites.